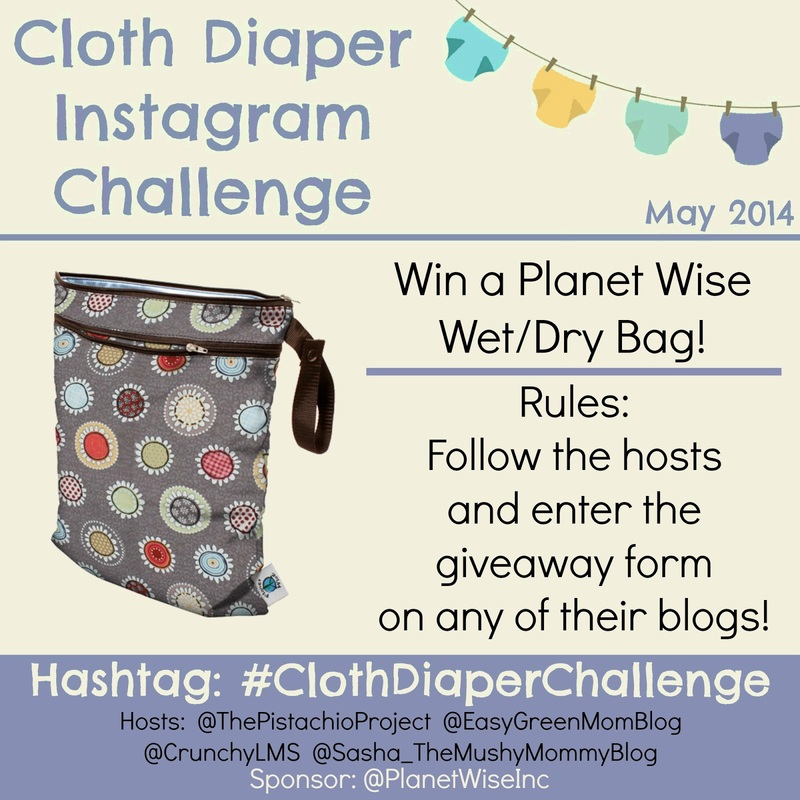 Cloth Diaper Instagram Challenge Giveaway! Ends 5/31. 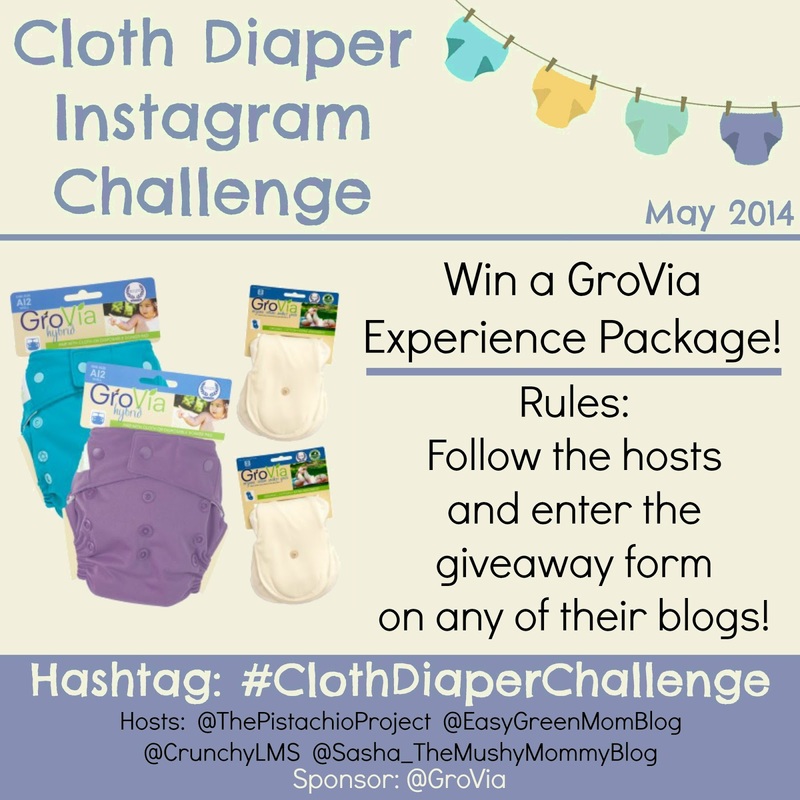 Welcome to our giveaway post for all three prizes for the Cloth Diaper Instagram Challenge! 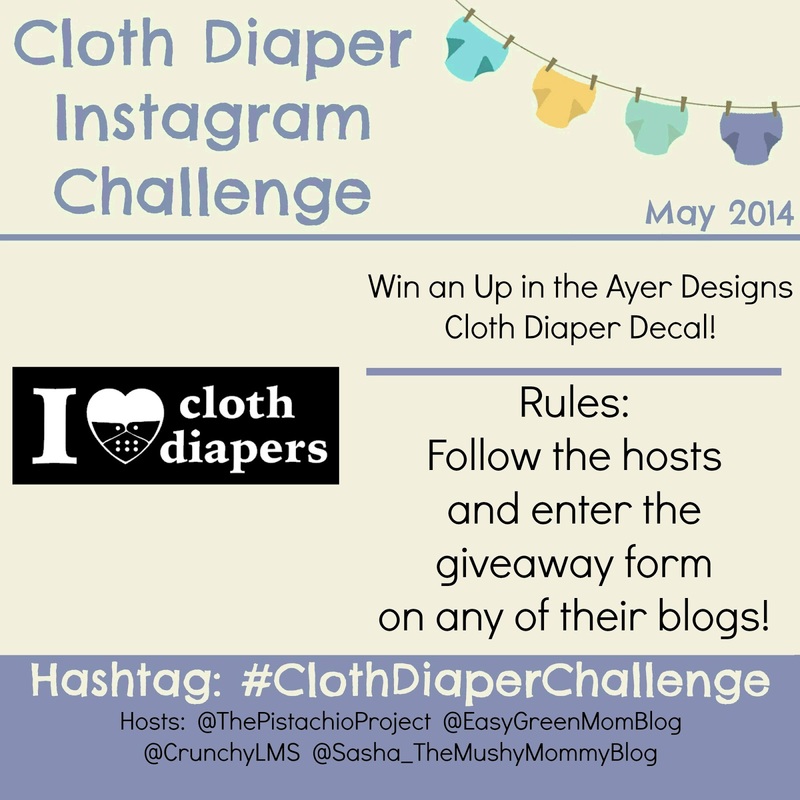 If you haven’t heard about the Cloth Diaper Instagram Challenge then be sure to check out the informational post! 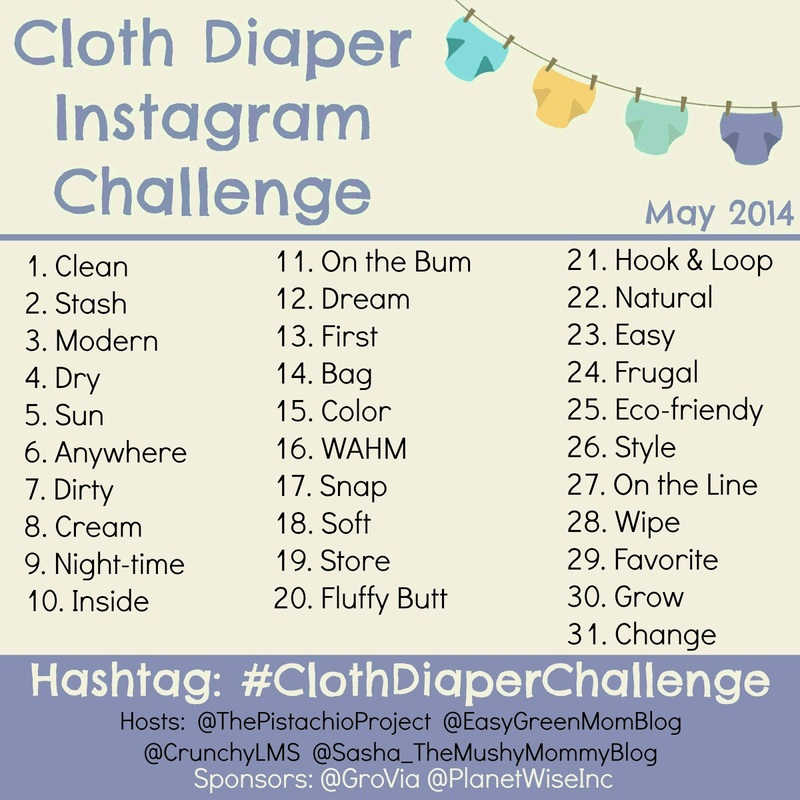 Since the Cloth Diaper Instagram Challenge is for the entire month of May, all of our giveaways will be a month long. The challenge starts on the 1st so all of the giveaways start on the 1st…and well to make things easier, we decided to put all three giveaways on the same post instead of bombarding everyone with a million separate posts. Below I will share a little bit about each giveaway prize and you will find the giveaway form for each prize below it’s description. Make sure to come back daily so that you can enter your daily Instagram pictures. Every day you participate in the Cloth Diaper Instagram Challenge is an extra entry for the giveaways! GroVia is one of the most popular cloth diaper brands out there. They have a wide line of cloth diapers from All-in-Ones, to Hybrids, to Fitteds. The GroVia Experience Package comes with 2 shells and 4 cloth inserts. It’s a great way to try out cloth diapers! This package is for GroVia’s hybrid system which means you just snap in the cloth inserts when you need to change a diaper and you can reuse the shell a few times before swapping it for a new one. Since it’s a hybrid diaper if you choose to, you could also buy your own biosoakers so that you have a more vacation, daycare, grandparent friendly diaper. The best of both worlds! Winner will get to choose color and diaper closure styles as well as soaker pad material. Ready to win these amazing diapers? Oh course you are so enter the form below! Planet Wise makes top of the line wet bags for storing dirty diapers. These wet bags are PVC and Lead free. Planet Wise uses top quality fabrics and uses hidden seams and sealing so that there are no wicking or leaking. We are giving away Planet Wise’s Wet/Dry Bag. This bag is extra wonderful because it not only has a section for those dirty diapers but there is also a dry section where you can store clean diapers! This is a perfect solution for when you are out and about because you can carry everything in just one bag. The Wet/Dry Bag measures 12.5×15.5 and can hold around 5-7 diapers. Winner will get to choose their print. Enter to win one of these must have bags for yourself by entering this form! Spray Pal makes spraying those dirty diapers a breeze! No more worrying about making a mess. A Spray Pal is essentially a plastic protection to put around your dirty cloth diaper so that when you use a diaper sprayer to get all that poop off, it won’t go flying all over you or the walls! Made in the USA, Spray Pals, fold flat for easy storage and are made to last through multiple babies. 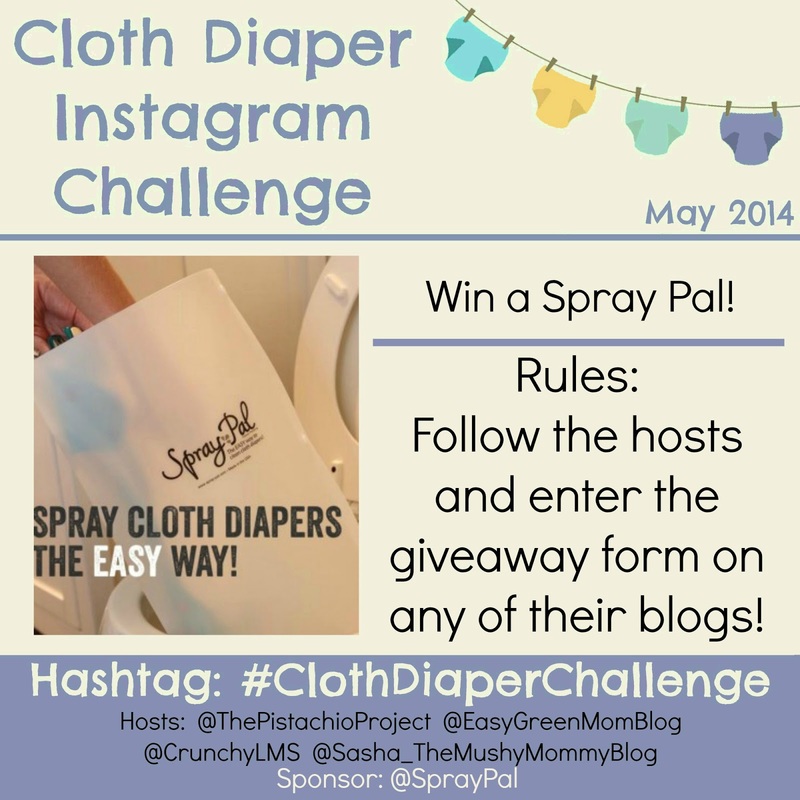 Enter to win a Spray Pal to make your diaper cleaning easier! Up in the Ayer is a decal company that loves natural living! They offer a range of decals to help you show off all your natural living loves on your car. They have breastfeeding, baby wearing, and of course, cloth diaper decals. We are giving away their I heart Cloth Diapers decal so that you can show the world that you cloth diaper your little ones! This contest will run through May 31, 2014 at 11:59 pm EST (8:59 pm PST). The winner will be chosen the following day and announced on the blogs through Rafflecopter, once winner has been confirmed. No purchase necessary. Must be 18 years or older to win. Open to US only. This promotion is in no way sponsored, endorsed or administered by, or associated with, Facebook. You understand that you are providing your information to the blogs and not to Facebook. Please note that the blogs are not responsible for sponsors that do not fulfill their prizes. We have represented each sponsor with the expectation they will fulfill their prize and in a timely manner. We will contact the sponsor regarding your prize(s). The sponsors, in most cases, are shipping their items to you directly. I will make every effort to assist you obtaining your prize. If there is an issue with a sponsor, please notify the blog you won a prize from within 4-6 weeks for assistance, after that we may be unable to assist you.